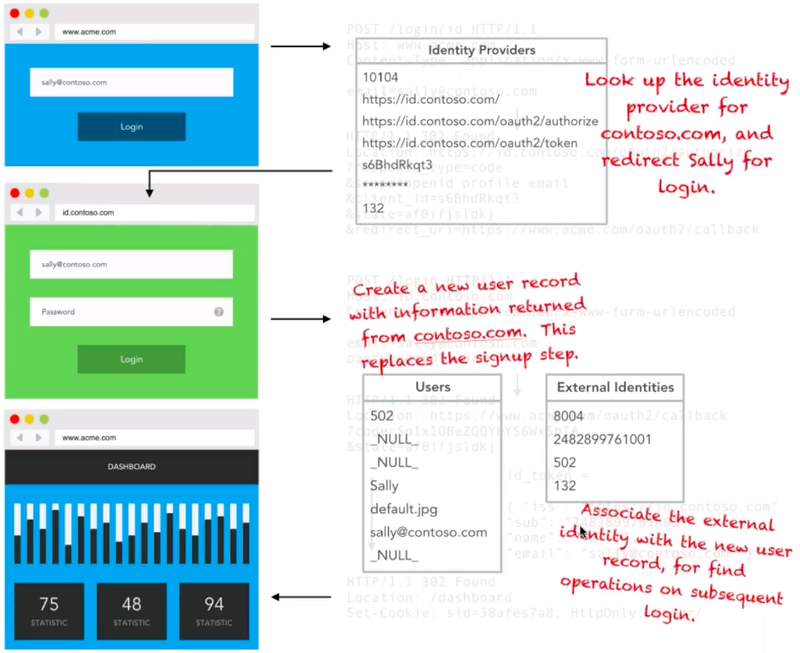 From basic website authentication to implementing an OpenID Connect server and API authentication: This article covers 3 IAM examples to support your Digital Transformation. TL;DR: We recently hosted a webinar that covered modern identity management and what it takes to implement both Authentication and Authorization to support your Digital Transformation. 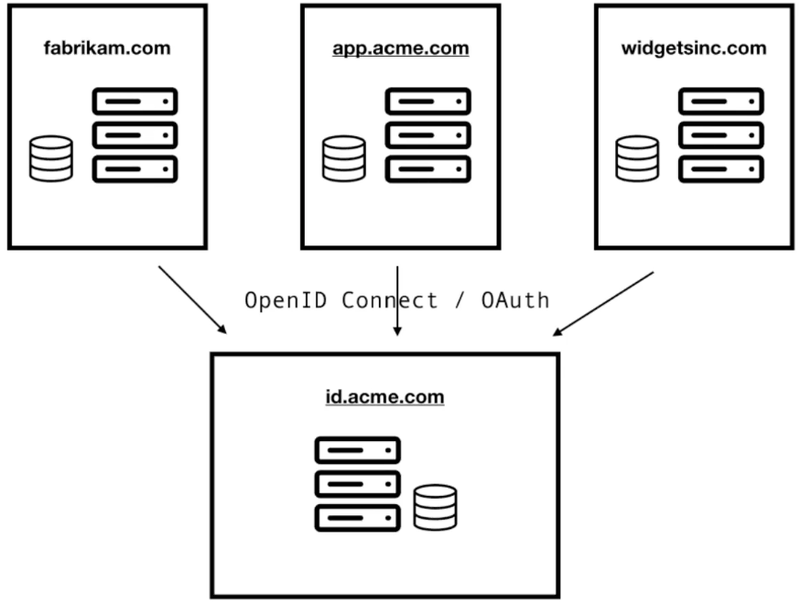 In this article, we'll cover these implementations ranging from basic authentication, to an OpenID Connect server, and API authentication. Identity and Access Management (IAM) encompasses the security protocols and processes that allow the correct users to access the correct content, at the correct times. Cloud-based IAM providers, such as Auth0, have created simpler and more intuitive ways of managing user access, and they form an important part of digital transformations. "Identity and Access Management (IAM) is the security and process that allows the correct users to access the correct content, at the correct times." Digital transformation, for those unaware, is not just a buzzword. It encapsulates the process of heavily utilizing modern, digital technologies to radically change businesses. Look beyond the hype and you'll find a daunting task at the heart of digital transformation. Rather than focusing on any single IT project, digital transformation describes a series of projects that, together, change every facet of an organization, from back office operations to customer interactions, often with the end goal of making these different processes intrinsically linked. As we go through this article, we will cover three IAM use cases. Firstly, we will cover implementing authentication on a basic website. This is the situation most people will find themselves in and the most common use case of the three. Once we've covered basic website authentication, we will move onto standard federated logins. The second scenario we will cover is Enterprise SSO. We shall create a fake example company named Acme, whos enterprise customers demand a way of logging into Acme's various services without having to remember a range of username and passwords. By using OpenID Connect, we will show how they can allow their customers' employees to log in with corporate credentials. Finally, we will cover API integration. When we want to allow our customers to integrate our service into their line-of-business applications in custom ways. 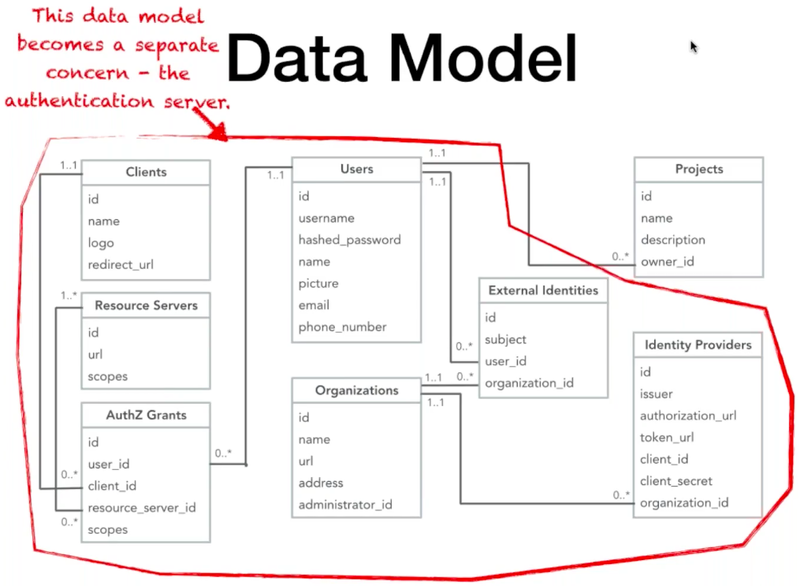 Our sample data model is that of a simple project management tool, in which Users own Projects. Very basic. Now, what we need is a way for our users to register their details for our application. In our login flow, users submit their email address and password, which issues a POST request to our /login resource. Our application back end takes the credentials supplied, issues a database lookup and ensures the details are correct. If so, our app will issue a HTTP forward request onto the specified resource, containing a Session Cookie. 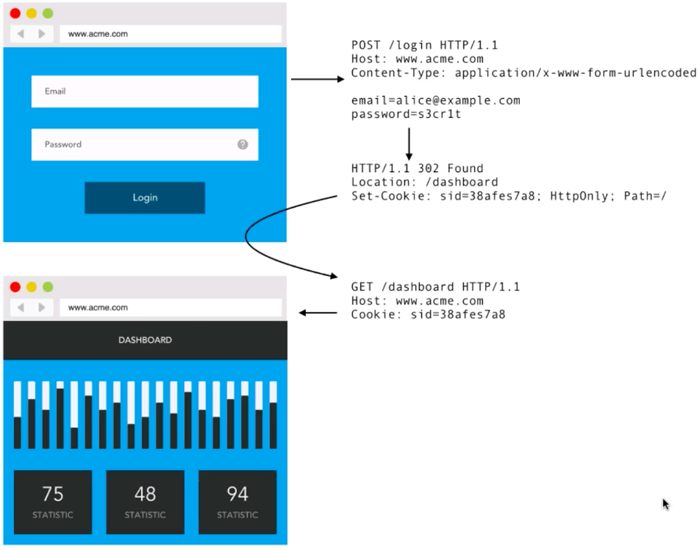 In the image above, you can see that the Session Cookie is set as a HTTP Header, and is actually the most important factor in this flow. The Cookie will contain tokenized information about our users perhaps including metadata such as the user's name and avatar, so as to reduce database hits going through our web app. Besides containing the user's metadata, the Session Cookie is (more importantly) also the authorization credential for all subsequent requests as the user browses our application. With this implemented, our application now has a basic user authentication system set up. Being basic, there are many features that we haven't addressed here, but that would really need implementing. Password hashing, password complexity verification, password reset functionality, and multi-factor authentication to name a few. Luckily, by using a system such as Auth0's Hosted Login, we save the worry of having to implement these, as they come as standard. Out of the box, Auth0 offer the features mentioned above plus many more. You can have a fully functional user management system setup in minutes. If you've used services such as Amazon Web Services, Slack, GitHub or Salesforce, you will notice that they all have a Single Sign On (SSO) implementation so that users can access those services with their corporate credentials. 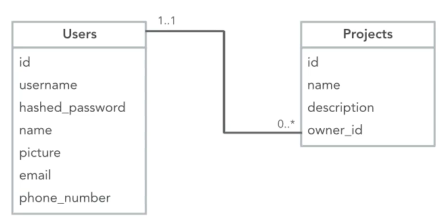 As we add SSO federated capabilities into our sample application, we do have one constraint in that (as mentioned above), we do not want to change the data table schema. 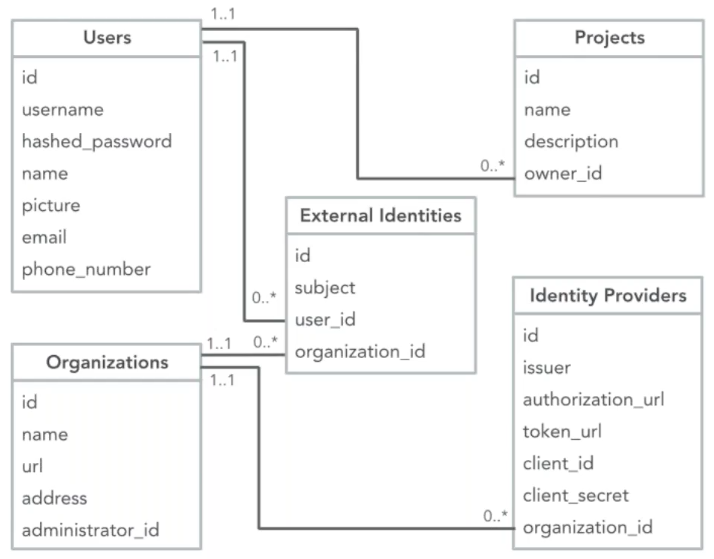 Our Users and Projects tables do not change, but the relationships evolve to include our external identity providers. The point of this is to look up the SSO identity provider associated with this email address, which in this case is cotoso.com, so the user will be redirected there to log in. As shown in the image above: once the user (sally@contoso.com) enters her email address, our application determines that contoso.com is our Identity Provider and redirects her there. Sally then logs into her contoso.com corporate account, and contoso.com verifies it. She is then redirected back to our application with access granted. As with all ID Tokens, there is an Issuer and an Identifier. The Issuer being https://id.contoso.com, and the Identifier being the subject "sub": "2482899761001". In the auth flow above, our application (acme.com) will now look at this ID Token, identify Sally, and forward her onto our Dashboard, setting a Session Cookie for future requests. Firstly, our application will perform a lookup for the identity provider contoso.com, and redirect Sally to that login. Once Sally has logged in on contoso.com and has been redirected back to our application, one of two things will happen. If Sally has never registered with our application before, a User record will be created for her, with the information returned from contoso.com. This would replace the sign up step we implemented in the basic example above. Our application will then associate the external identity with the new user record for find operations on subsequent logins. Similar to our earlier basic example, upon successful login, a Session Cookie is set to portray the information required for subsequent requests. With the above, we now have Single Sign On implemented on our acme.com sample application. Worth noting here is that in this SSO implementation, we have chosen an identifier-first login prompt with no option for a password. In reality, we would need to implement a password option for users that have existing non-federated accounts. Beside this, we should also implement a SAML integration, and support for account linking an unlinking. By choosing to use an IDaaS provider like Auth0, we can get all of these features, plus many more straight out of the box. 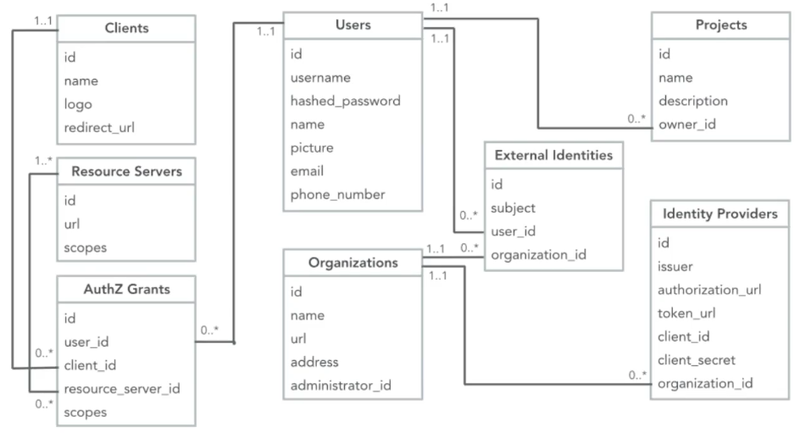 Using Auth0 for SSO allows us configuration of any enterprise connection, including Active Directory, LDAP, ADFS, SAML, and more with just a few lines of code. Although the model now looks slightly more complex, following our aforementioned constraint; our Users and Projects schemas have not been changed. The schemas for SSO providers have not changed either. What has changed are the tables on the left, which introduce support for other people getting access to Acme's APIs. If you are familiar with Facebook sign-on or GitHub etc, the terms above are fairly typical. Clients are the applications a user may build/use to access APIs and services, Resource Servers are the APIs themselves, and the Authorization Grants (AuthZ Grants) track the permissions that have been granted between the users and the applications. For our API Authorization example, we are going to imagine that our sample company (Acme.com) have a customer named Fabrikam.com, who wish to allow their customers to pull a list of their Projects from the Acme API to display on their own dashboard. From a simple button on the Fabrikam.com website, their customers will be redirected through an OAuth2 Authorization request to the Acme website, returning an Auth code on successful submission. Using the OAuth2 auth flow of Client Credentials Grant, this Auth code will then be swapped for an Access Token and used in the web application's Authorization Header using the Bearer protocol. This Access Token is similar to the ID Token shown in the previous example, but instead of just identifying the user, it is also responsible for allowing Fabrikam to make API calls subsequent to this Authentication event happening. This Token contains Acme as the issuer, the API route to be used, the subject referring to the user id of "502", and the request permissions in the scope. With the Access Token now available to Fabrikam.com, it is used with requests for the customer's Projects from the Acme.com API. As the image shows, Fabrikam sends the encoded token in the Authorization Header of the request, using the Bearer protocol, in all subsequent API requests. The Acme.com API successfully returns the customer's Projects which are listed in the Dashboard, as shown. That brings to a close the OAuth2 Client Credentials grant for API Auth example. However, we can take this a step further still. 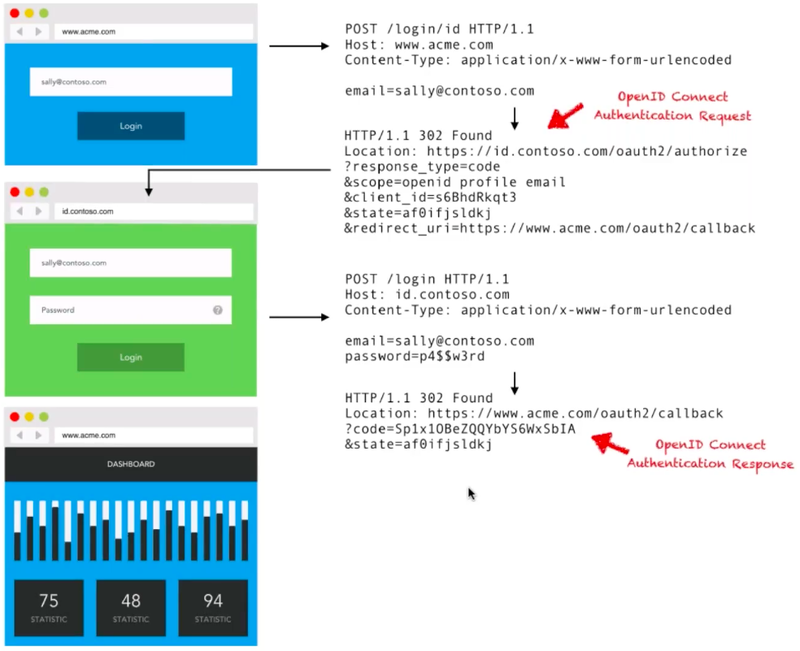 What if we wanted to combine this API Auth with the Enterprise SSO implementation in our previous example? "OAuth 2.0 and OpenID Connect have the same protocols because OpenID Connect is just an extension of OAuth." Happily, as you will have noticed throughout this article, OAuth 2.0 and OpenID Connect have the same protocols, because OpenID Connect is just an extension of OAuth. This saves us a lot of hassle on implementation. 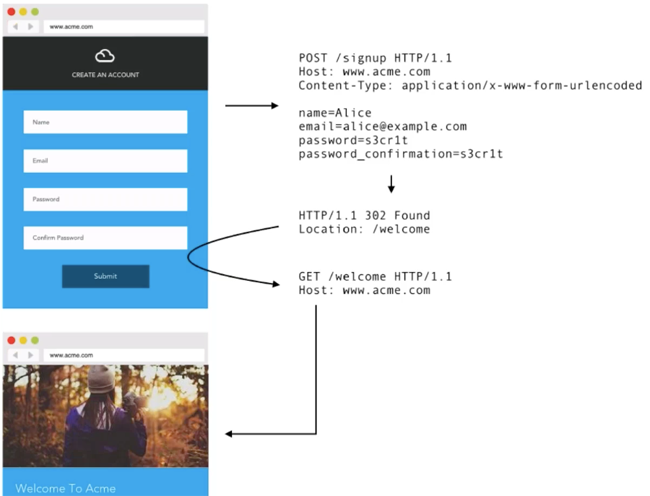 At this point, with Authentication becoming a more prominent feature, it might be worth setting up a single, centralized server to handle all of the Auth requests coming through our app (Acme). Besides this, consent and token revocation is also a must-have feature that would need implementing. Lastly, token introspection and JWTs for stateless authorization are both desirable features one would ideally implement. 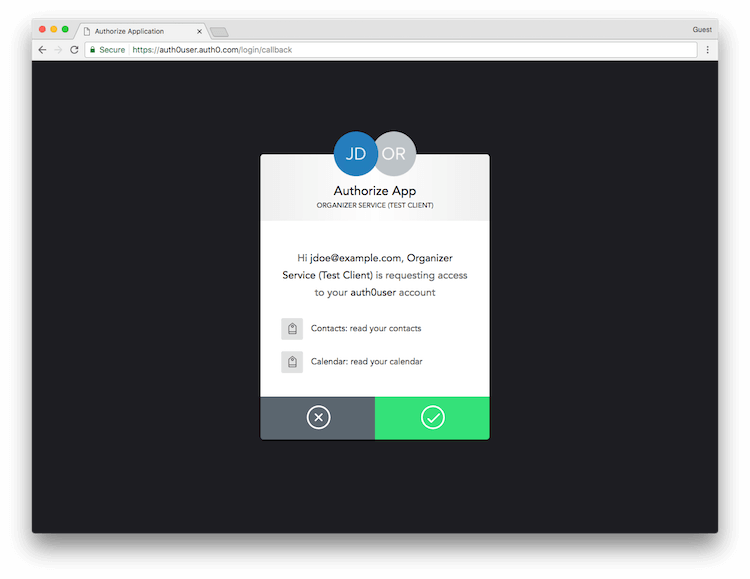 If you wanted a fully-featured OAuth 2.0 server with all of the functionality mentioned above, it is definitely worth checking out an IDaaS provider to save you all of the implementation hassles. Auth0 offers out of the box, fully featured OAuth 2.0 implementations that take care of all of the architecture above, plus offer more features and functionality; and all implemented without having to build and manage it yourself.